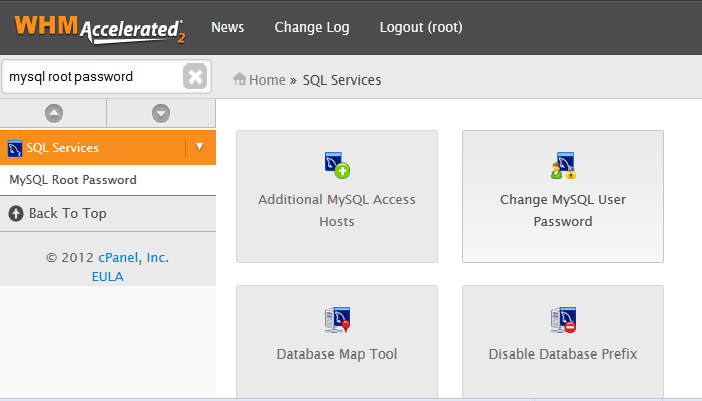 Log into WHM and scroll down and find SQL Services or search mysql root password. In that section you will find a link to reset your root password for MySQL. 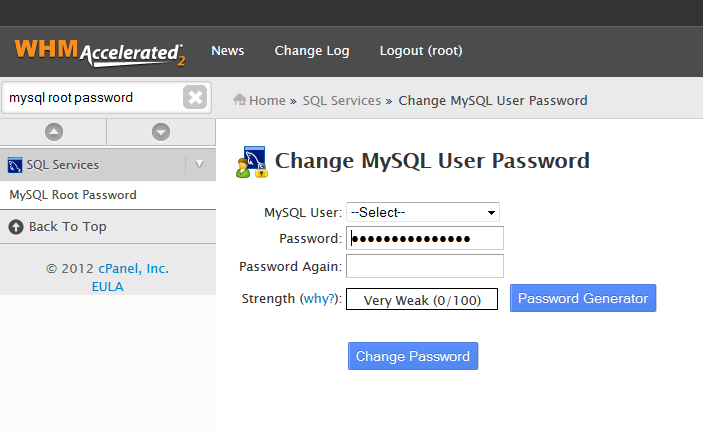 WHM >> SQL Services >> Change Mysql user password or you can get change it through the cPanel >> MySQL Databases.